Started Nov. 23, 2009. 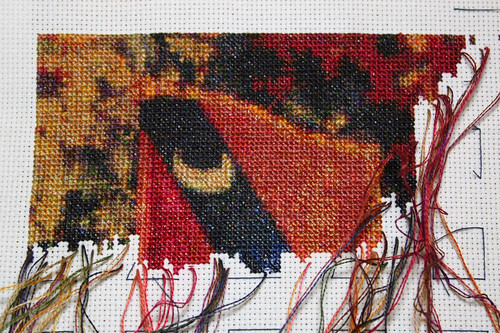 3529 stitches completed. Hey, that’s 2.7% of the total! Actually this is almost half of the first page of charts. This entry was posted on January 22, 2010 at 12:02 pm	and is filed under Crafts, embroidery. 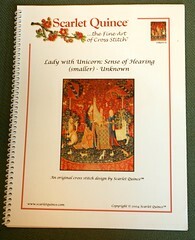 Tagged: cross, cross-stitch, embroidery, lady and unicorn, sense of hearing. You can follow any responses to this entry through the RSS 2.0 feed. You can leave a response, or trackback from your own site.